MSC Bellissima, the hotly anticipated 16th ship in the MSC Cruises’ fleet, launched in Southampton earlier this month. 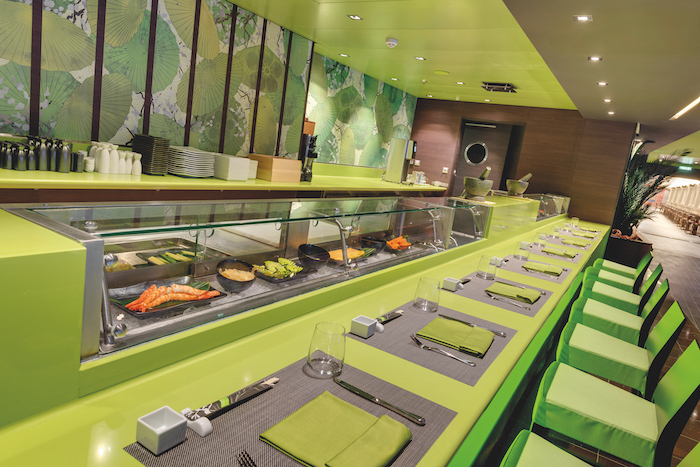 Cruise International Editor Liz Jarvis gives her verdict. It cost £750million to build and create, and from the moment you step onto the shiny, sparkly new ship MSC Bellissima it feels as though you’ve entered an ultra- glamorous world of possibility. With the tagline “beauty at sea”, it’s a dazzling success. Size isn’t everything but at 1,036ft long, this is the biggest ship in the Italian family-owned MSC Cruises’ fleet, with capacity for 5,686 guests; a lot of thought has been put into how best to accommodate everyone without ever making it feel crowded. 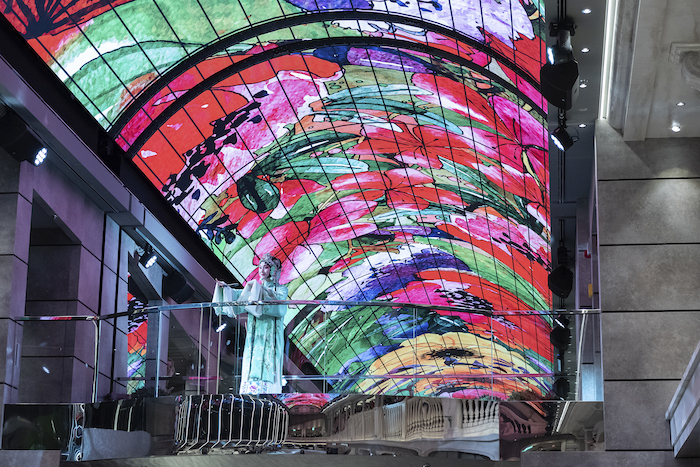 The centrepiece of the ship is the indoor promenade, the Galleria Bellissima, with its splendid 262ft-long LED sky ceiling projecting enchanting art, vistas, sunrises and sunsets galore. As the name suggests, the Galleria is lined with chic boutiques, cafés and bars (and a delectable Chocolaterie and Chocolate Bar featuring creations by award-winning French pastry chef Jean-Philippe Maury). A popular pastime of Italians is to promenade and walking through here does feel a little like you’re wandering along the Via del Corso in Rome on a balmy evening. 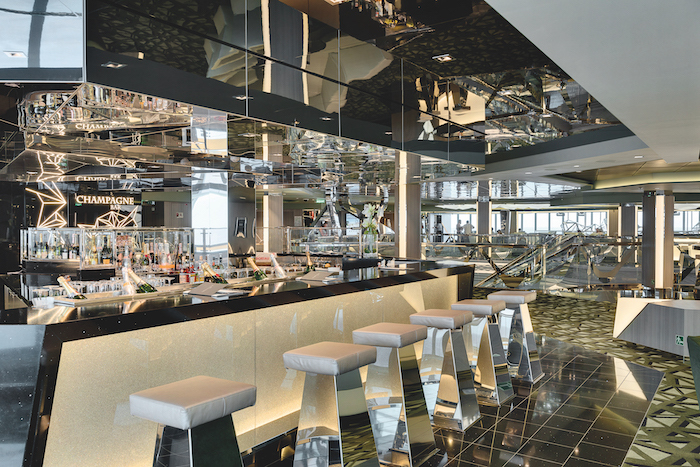 Glittering Swarovski crystals (more than 61,000 of them), a hallmark of MSC Cruises’ ships, adorn the staircases in the atrium, and here you’ll find a salubrious Champagne bar as well as a pub. 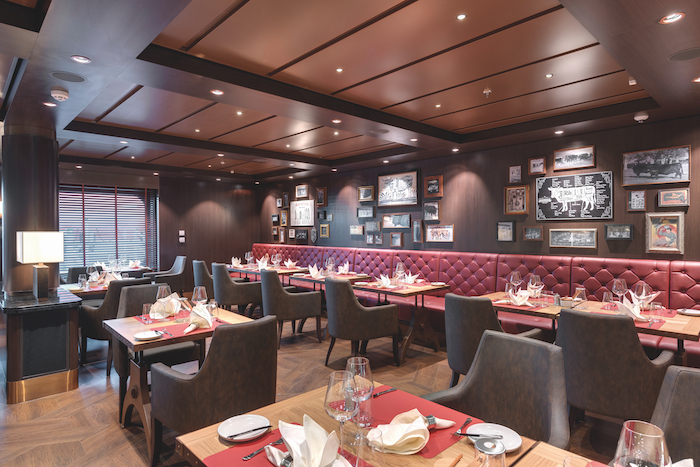 There are 12 international dining venues and 20 bars in total on board, including the very good Kaito Teppanyaki Restaurant & Sushi Bar, and Butcher’s Cut, which has speciality meats from around the world, French bistro L’Atelier Bistrot, and tapas bar Hola! Tapas, created by two-Michelin-starred Spanish chef Ramón Freixa. Then there’s the Marketplace Buffet for casual dining, which serves excellent waffles for breakfast. 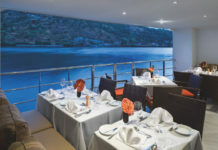 The Yacht Club, the exclusive enclave reached by its own Swarovski crystal-embedded staircase, feels like a discreet, luxurious oasis of calm; the ambience in the pool area is very seductive, with its whirlpool, bar and restaurant, plus delicious food cooked to order, and attentive staff. Suites – there are three categories here, including the Luxurious Royal Suite with its own whirlpool bath on one of two balconies – are decorated in soothing neutral shades with splashes of elegant plum and silver. 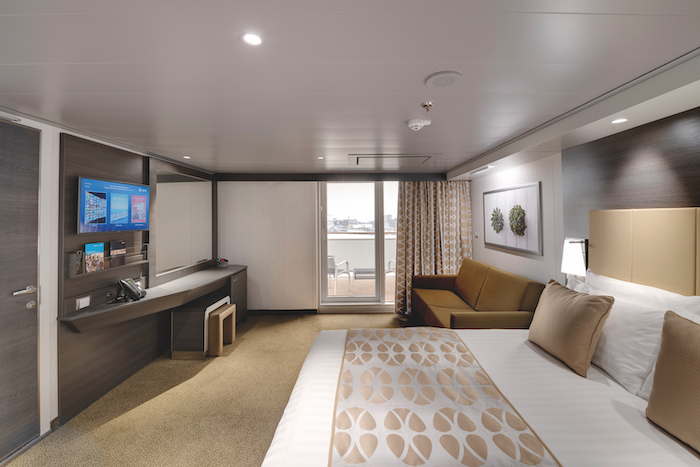 Cabins throughout the ship have a boutique hotel feel and come in a variety of sizes, including interconnecting rooms, which are perfect for families, and solo cabins. There are three swimming pools for guests in the main ship to use: the main Atmosphere pool is vast and beautifully illuminated at night, while the Horizon pool, at the back of the ship, is smaller but the perfect spot for chilling out on a sea day; at night it is transformed into a dance space. Particularly impressive is the indoor Bamboo pool, which features a retractable roof. But for those looking for something slightly more high octane, the Grand Canyon-themed aqua park includes three water slides, a Himalayan Bridge that crosses the deck nearly 200 feet above the water, and a splash pool. 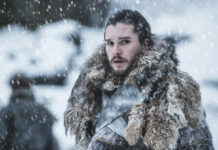 Entertainment highlights include two new Cirque du Soleil at Sea productions, featuring extraordinary acrobatics, costumes, cutting-edge technology and a unique set design, too, as well as six original Broadway-style shows; there’s also a Formula One simulator, bowling alley, karaoke bar and comedy club. Children of all ages on board are spoilt for choice; MSC’s partnership with LEGO and Chicco means that everything is awesome in the kids’ clubs; there’s also a School of Magic and weekly Magic Talent Show. The Balinese-style Aurea Spa is a sophisticated space with a thermal suite area including an ice room, a tepidarium relaxation room, as well as traditional and non-traditional saunas. 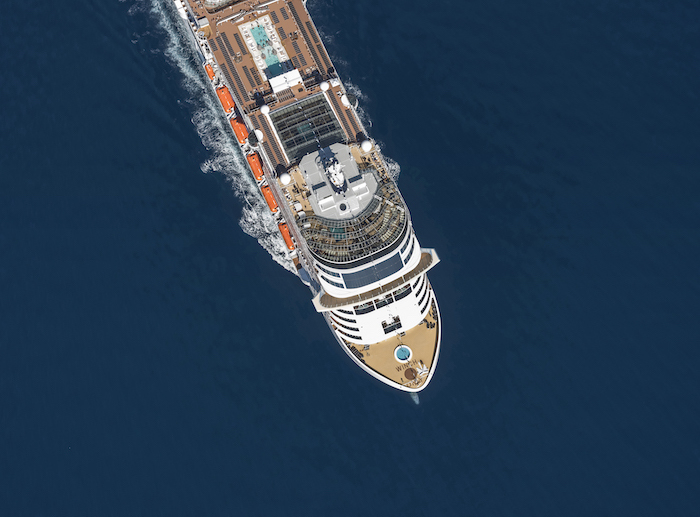 With so much focus on the cruise industry’s green credentials, MSC Cruises takes its environmental policy seriously, and the Meraviglia Class ships are equipped with ‘scrubber’ technology to neutralise carbon dioxide emissions, an advanced wastewater treatment system, smart heating, ventilation and air conditioning systems; plus energy-saving LED lighting. As well as the MSC for Me technology, which connects guests with each other, the crew and the ship itself, this is the first ship to feature the voice-enabled artificial-intelligence digital-cruise ‘assistant’ Zoe on board. Fitted in every stateroom, it (or she) is programmed to answer 800 cruise-related questions (similar to a smart Alexa or Siri for cruise). Like its godmother Sophia Loren, MSC Bellissima is an icon, an impressive feat of engineering and design. A seven-night Mediterranean round-trip cruise from Barcelona, departing 14 June, calling at Marseille, France; Genoa, Italy; Naples, Italy; Messina, Italy; Valletta, Malta, starts from £999pp, based on two sharing, not including flights. To book, visit msccruises.co.uk. For more inspiration, find your perfect cruise.